CHAMPIONS: Joseph Mazzello, Rami Malek, and Ben Hardy in Bohemian Rhapsody. 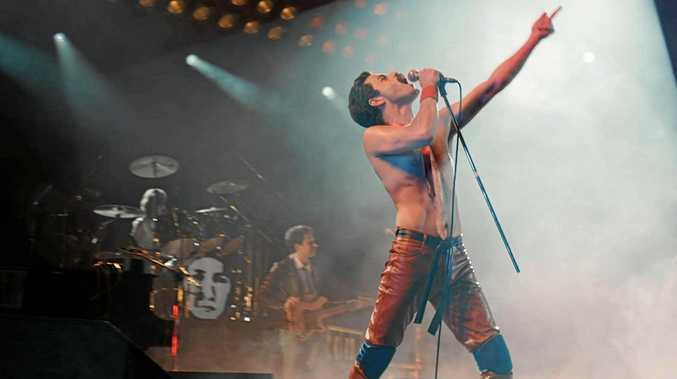 THE next Seniors Morning Tea presents: Bohemian Rhapsody screening on November 7 at 10.30am with morning tea provided from 10am. The next Chicks at the Flicks presents: Second Act screening on November 28 at 7pm with lucky door prizes, pre-show entertainment and goodie bags starting from 6pm. National Theatre Live returns with The Madness of George III screening on December 15 and 16 at 1pm and on December 19 at 10.30am.